Timing of surgery is dictated by the status of the soft tissues. 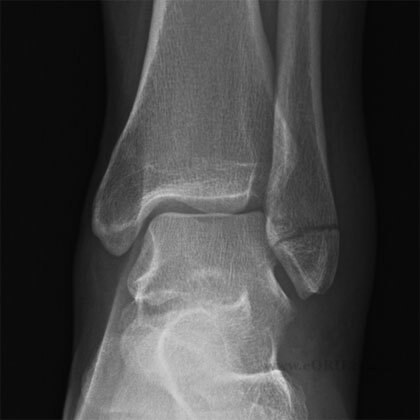 Ideally surgery is done before any true swelling or fracture blisters have developed. Delayed surgery done when blisters have resolved, skin wrinkles normally (average 14 days) has equivalent outcomes (Karges/Watson, JOT 1995;9:377). 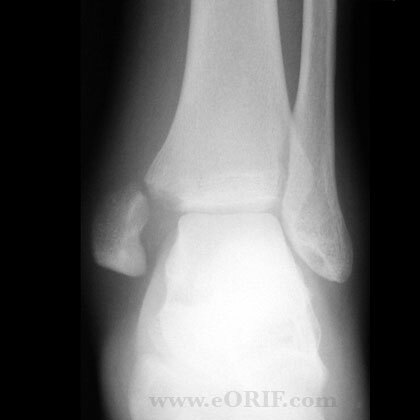 Posterior malleolar fragments >25% of the plafond may be fixed via percutaneous clamp reduction through the medical mallellar fracture or direct reduction through a posterolateral or posteromedial approach. 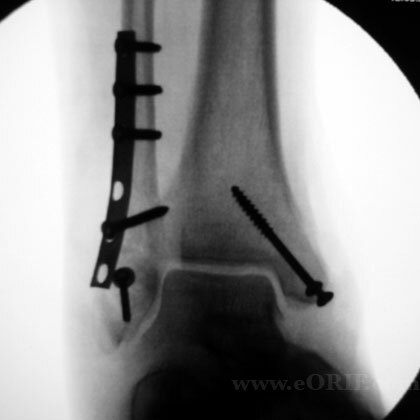 Posterior approach only needed for large posterior malleolar fragments-prone position. 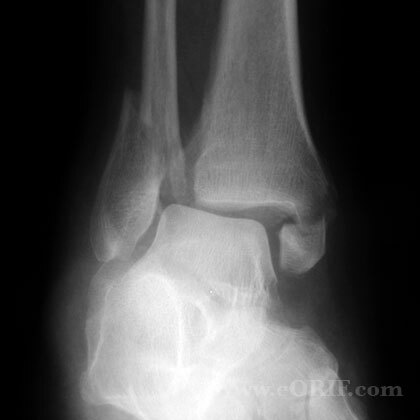 Incision between Achilles and peroneal tendons. Avoid sural nerve. 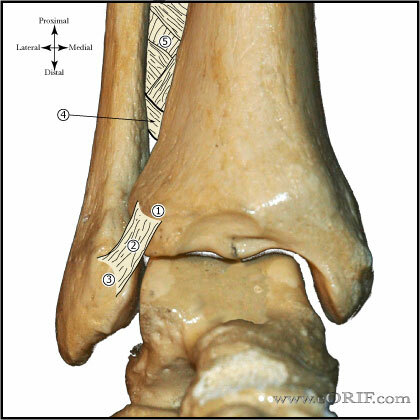 Find interval between FHL and peroneal tendons. FHL is medial and protects posterior tibial artery/nerve. Supine position with bump under ipsilateral hip. All bony prominences well padded. Well-padded tourniquet placed high on the thigh. 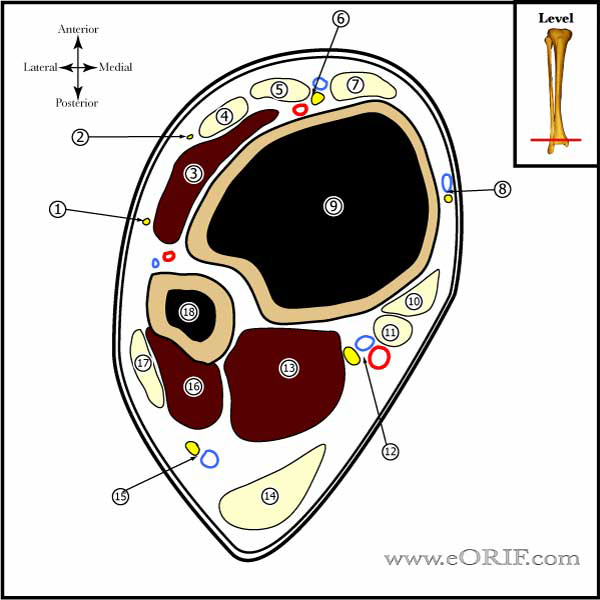 document osteochondral injuries which should be saught during ORIF. 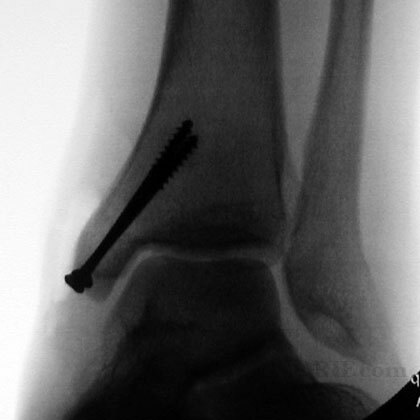 Lateral malleolar fixation provided with posterior antiglide plate +/- lag screws. (Lamontagne J, JOT 2002;16:498). We discussed the risks of surgery including, but not limited to: incomplete relief of pain, incomplete return of function, nonunion, malnunion, painful hardware, hardware failure, compartment syndrome, CRPS, DVT/PE and the risks of anesthesia including heart attack, stroke and death. Physical function and role physical scores remain significantly lower than US norms at 24 months after operative fixation. 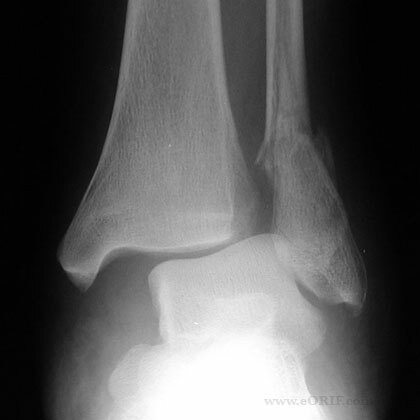 Smoking history, presence of a medial malleolar fracture, lower levels of education are significant independent predictors of lower physical function up to 3 months postoperation. (Bhandari M, JOT 2004;18:338). 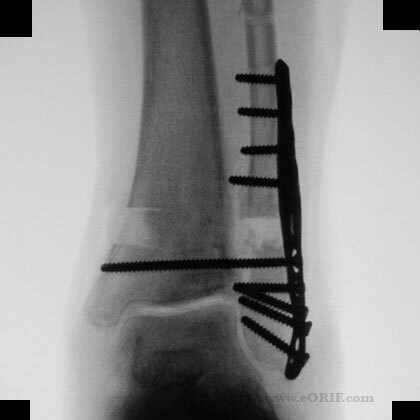 Average time to full weightbearing = 7weeks, return to work = 8weeks after surgery with early weight bearing protocol. 100% good results; Olerud score (90 +/- 13 points). (Simanski CJ, JOT 2006;20:108).